Little girls love dressing up! But this is usually reserved for the home. 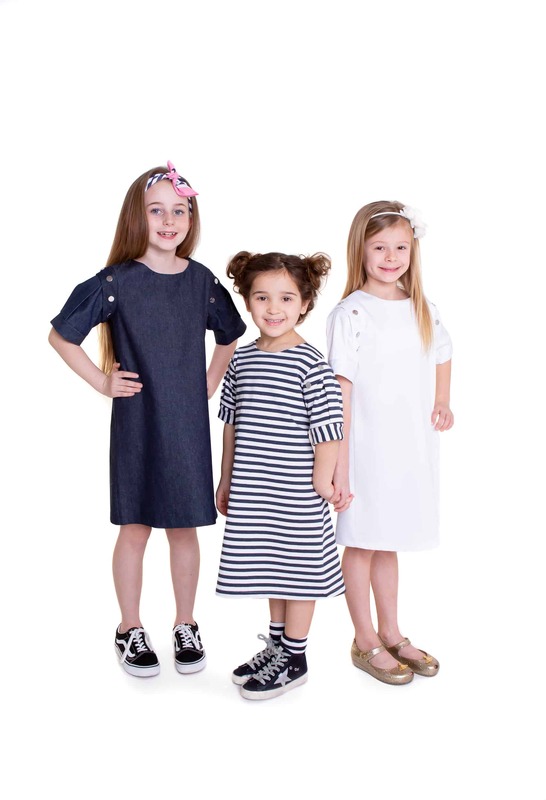 With Lola Starr, bringing dressing up time out of playtime and into every day wear is now possible. 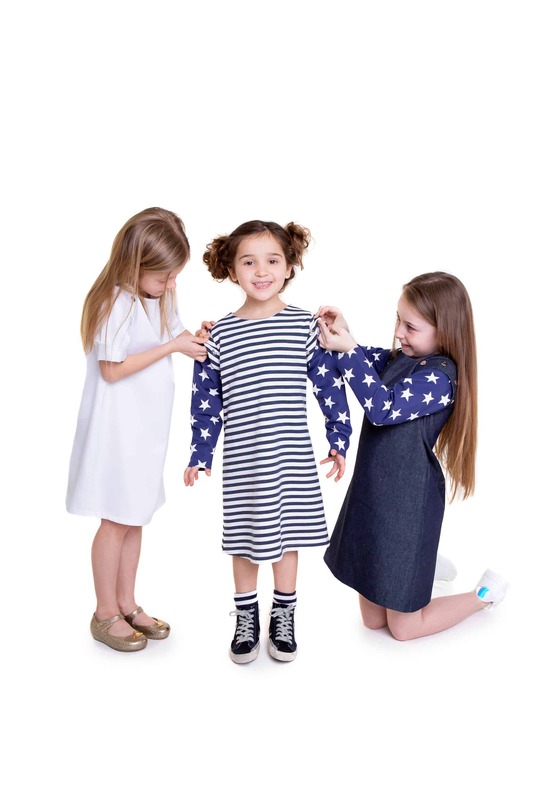 I have been a dress maker and designer for many years and recently graduated from University in Visual Merchandising & Promotional Design where for my end of year show I created a new brand of children’s clothing with the a USP being interchangeable sleeves. I have developed this brand and brought it to life, doing lots of research and travelling to trade shows and forums. I have had the brand name and logo debossed on the snaps, added more styles of sleeves and am designing more garments to come SS19. Our website is now live and ecommerce will be available in the new year. We have social media accounts that we keep up to date with trends and styles that we have put together. The concept was to create a brand that children can be creative with, choosing their own textures, fabrics and colours. Basically they are their own little designers, we’re just giving them the tools. The best bit is that not everything has to match. Welcome to ‘interchangeable clothing’. 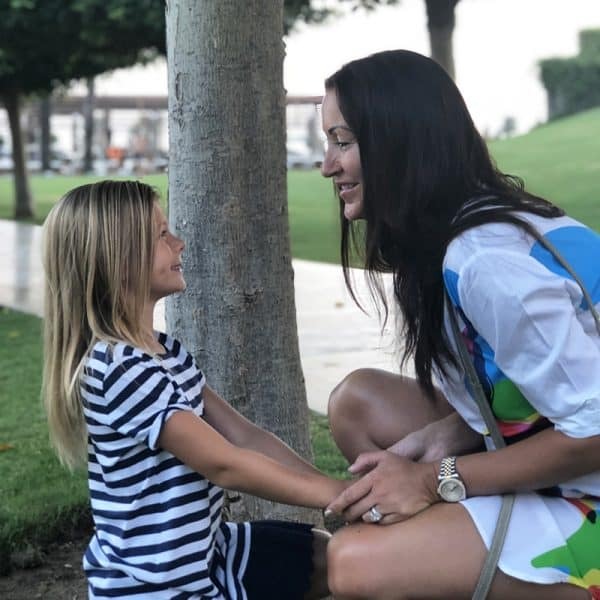 My daughter Lola plays a huge part and inspires me every day. 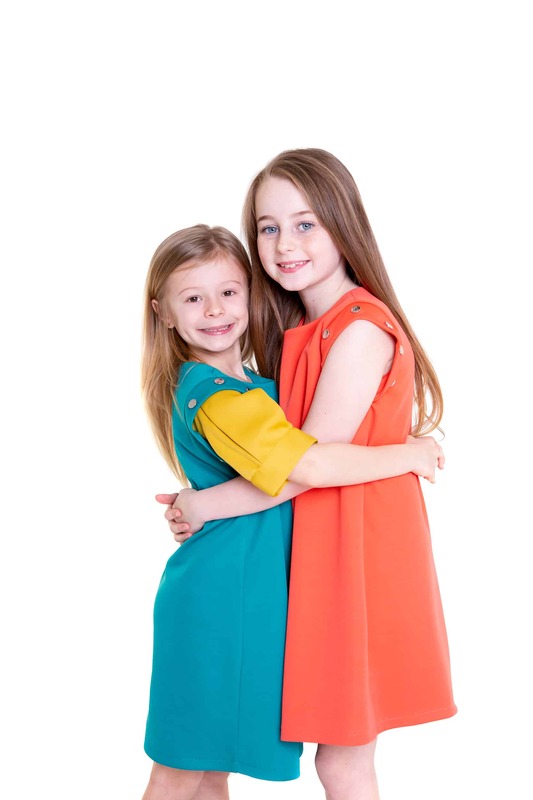 With me being a dress maker there is always a lot of fabrics and garments around our home. Lola designs many of her own dresses, draping fabrics over herself, cutting pieces out and sketching her own designs. 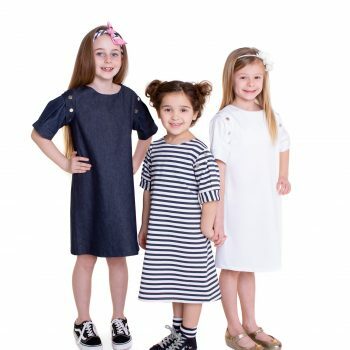 Lola also does all the modelling and really enjoys this side of it, always thinking of fun places to do them and mixing up with dresses and sleeves. 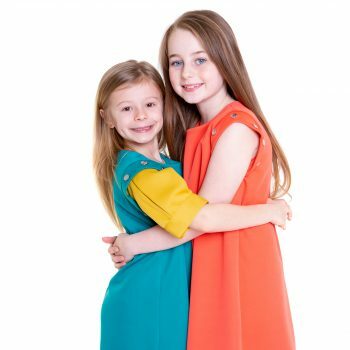 We have so much fun doing the photoshoots and coming up with all the different looks, and now we are happy to share our fantastic selection of dresses with interchangeable sleeves, so other children can mix and match their outfits according to their unique style. We have been to lots of textile shows over the last few months meeting new fabric suppliers and have some great contacts. Our fabrics are ethically produced and come with product certificates. We are now having them manufactured as we need bigger volumes and proud to say they are Made In Great Britain. 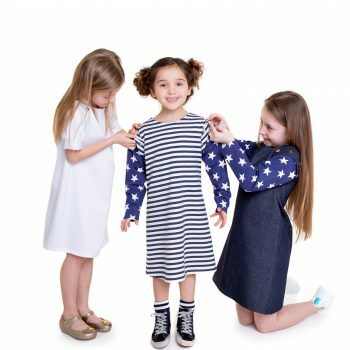 With Lola Starr, you can let your own little star’s shine! Perfect for every season, come rain or shine! Shop our full range of interchangeable clothes today!